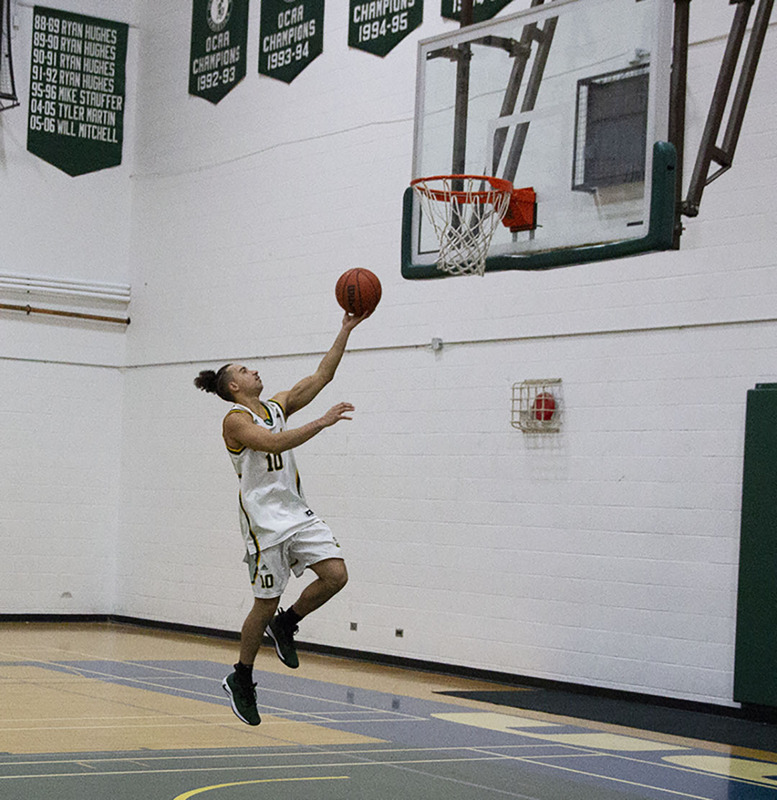 Brandon Halliburton has become just the fourth basketball player in Durham College (DC) history to eclipse 1,000 points in Ontario Colleges Athletic Association (OCAA) action. Halliburton reached the milestone by scoring 27 points as the Durham Lords men’s team won a home game against the Canadore Panthers 66-51 Nov. 24. The 6-foot-1 guard achieved the number in 47 games and joins Anthony Batchelor (1,833), Eric Smith (1,666) and Courtney Small (1,045) in Durham’s 1,000-point club. Batchelor finished his career as the third all-time leading scorer in OCAA history. Halliburton says he didn’t expect to hit that mark as he was not aware of how many points he had until the previous night. The 24-year-old from Brampton, Ont. says basketball means a lot to him as he has been playing since he was four years old. It has helped him discover different countries, make connections and create new friendships, he says. He has won different awards including being named to the 2016-2017 OCAA all-rookie team and was named a OCAA first all-star last season. This season, Halliburton sits ninth in OCAA scoring, averaging 23.9 points per game. He says a remarkable moment for him was hitting a game-winning shot against the Panthers to help Durham make the playoffs during his first year at DC. “The game was in my hands, it was either I make it or miss it,” he says. He hopes to pursue a career as a professional basketball player which has always been his dream. Halliburton says he’s studying firefighting as a backup plan. The Lords (4-4) will be playing in Toronto against the George Brown Huskies (7-1) Nov. 28 at 8 p.m. He says he feels confident about the game as the Lords are on a three-game winning streak. Next home game for Durham is Tuesday, Dec. 4 against Loyalist (5-3) starting at 8 p.m.